This study aimed to assess the pain-relieving effects of LLLT, its effect on joint stiffness, and its effect on disability of patients with knee osteoarthritis (KOA). The benefits of LLLT were then compared to a more commonly used modality: therapeutic ultrasound (US). Each treatment was administered to each respective group five times per week for two weeks (ten treatments total). What they found was that pain was reduced in all three groups but laser was “superior” in comparison, subjects in the laser group had decreased joint stiffness while the other groups had no improvement in joint stiffness. They concluded that LLLT is the only therapy that reduced pain, joint stiffness, and disability and is superior to placebo and therapeutic ultrasound. This article is a systematic review focusing solely on LLLT treatment effects in shoulder tendinopathy. 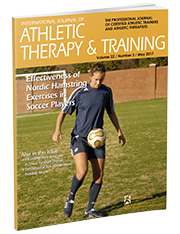 The authors reviewed seventeen randomized controlled trials and found that LLLT is safe and effective in treating painful shoulder tendons. They also found that LLLT seems to be more effective in terms of reduced pain and a more rapid improvement over other therapies. 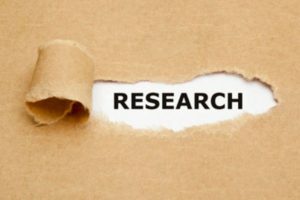 These results support the growing body of scientific literature indicating the efficacy of LLLT in managing pain. 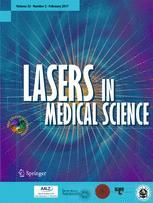 This is a really good article for understanding some of the basic mechanisms underlying Low-Level Laser Therapy (LLLT); from the physics and parameters of the laser to the effect of photons on biological tissue. The article discusses the efficacy of laser in treating dermatological conditions, as well as treating musculoskeletal conditions. The authors conclude that LLLT decreases wound healing time, controls inflammation, promote collagen synthesis, and reduce healing time following a musculoskeletal injury. “Click here” to read the full article. The objective of this study was to investigate the clinical effects of low-level laser therapy (LLLT) in patients with acute neck pain with radiculopathy. Sixty subjects were given either LLLT treatment or a fake (placebo) LLLT treatment, both of which consisted of 15 treatments over the course of three weeks. The researchers concluded that LLLT gave more effective relief from arm pain and increased range of neck extension in patients with acute neck pain with radiculopathy when compared to the placebo treatment.